What a shame this poor young girl. Those pictures are graphic. That's horrible. When a car collides with an ambulance, it's always devastating to those in the car. Ambulances are heavy and high and they don't give. That's how Mom was killed. So sad for this young and beautiful girl. 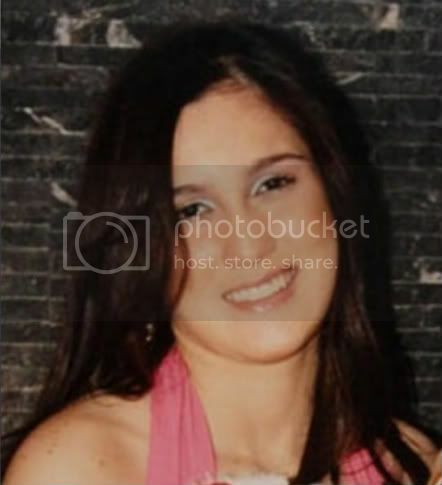 I took care of it Buckshot - my photobucket album was closed but nothing was lost, I just had to move it over to another site. So you are back! I haven't either!!!! He was a complete waste of flesh. in a blanket? Keep punishing those coffee cakes Anita! Someone kick her right in her change purse to force a set of jumping jacks. Her rolls have grown rolls that gave birth to a few new rolls, already! NEW YORK (Dow Jones)--Valero Energy Corp.'s (VLO) oil refinery on the U.S. Virgin Island of St. Croix was shut Friday when the collapse of a 20,300-barrel freshwater storage tank knocked down a concrete barrier and broke several pipes carrying petroleum products. Company spokesman Bill Day said Monday the incident occurred at around 9:00 p.m. local time Friday; there was no explosion or fire at the refinery and there were no injuries, Day said. "The petroleum products from the pipes that spilled were quickly contained and are being cleaned up. No offsite environmental impacts are expected from this incident," he added in an emailed statement. The refinery remains shut down while repairs are being completed. There is not a specific timeline for restart at this time, but the outage is not expected to be lengthy. Unlike the above reports drove the siren and flashing lights ambualance not, but was back to the aid station. It is hard driving and alcohol would be in the game. These various local news media.Maar there is under investigation. kajo - 02/07/2011 | 2:23 p.m. 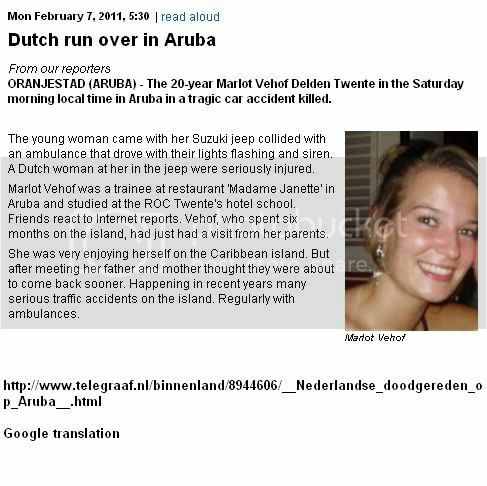 It is terrible what happened RIP Marlot myself live in Aruba, ambulance drove without lights and siren. Accidents happen here regularly with interns whose cause is quite often drink to do so also with this accident. We live or on a sunny Happy Island, but will drink and drive anywhere in the world does not cooperate. Wish family, friends all the best with this great loss. Wilma - 02/07/2011 | 1:39 p.m.
Well of course it is the poor girl's fault. There is hardly any accidents in Aruba. Who would even think of holding the bars responsible for permitting drinking, under age, and driving? Of course, she's not here to defend herself! Hopefully the person with her will be able to tell what happened. 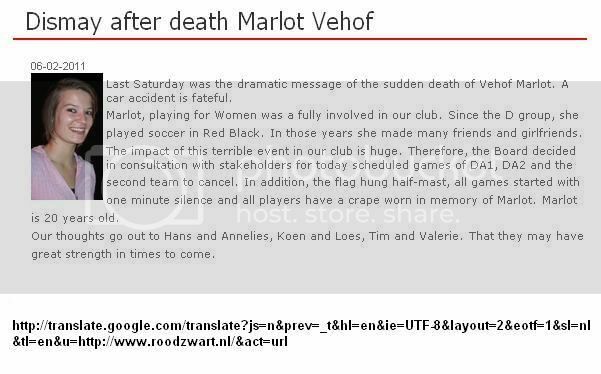 I feel confident they tested Marlot's blood, did they test the Ambulance driver's as well? Bet not! IMO it would be interesting to know who "Wilma" is...noticed her comments in other places as well. 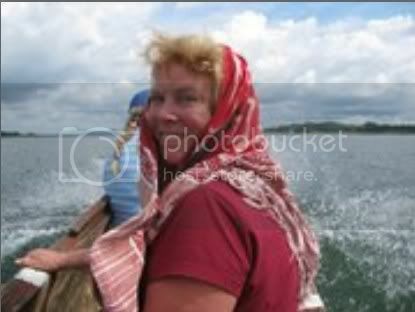 First of course desirable strength to the relatives. About the circumstances of the accident I can not talk about these, but the sorrow will not diminish his. Unfortunately, the picture that correctly outlines Wilma. I've also spent several months on Aruba and its story is very familiar to me. I too have seen a number of perilous situations. I will not pretend that I've always been correct, but I was young and saw no harm in it. Incidents like this go to show that more monitoring should take place on the island. Page 200: My child. My beautiful daughter. I can’t save her. It’s too late. Natalee is gone. And second to the great tragedy of losing her is if we fail to learn from what has happened. I could be any parent in the world. And no parent should ever go through this experience. Natalee could be anyone’s daughter. And in these thoughts a new path is made clear. There is something I can do. Many people reached out to us, and I can now reach back to them. It might be too late to save Natalee, but it’s not too late to save others. 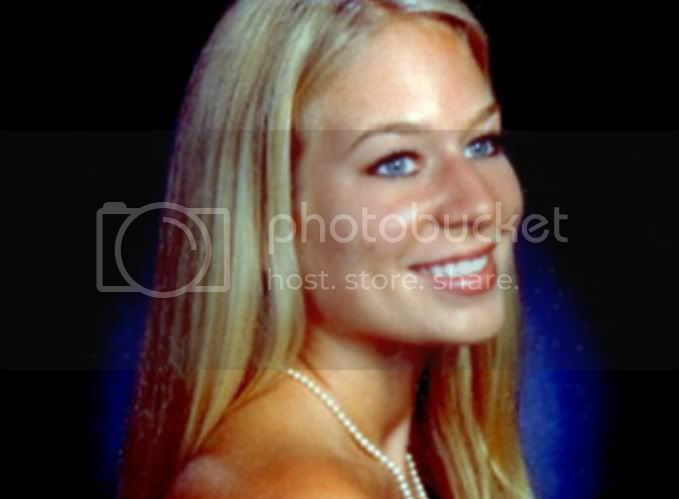 And it’s time now to make good on my pledge to stand before high-school and college students, law enforcement professionals, victims’ rights groups, travelers of all ages, and anyone interested in personal safety to share Natalee’s story and our hard lessons, so that others might learn from them. BETH HOLLOWAY: What I can do is hopefully share some life lessons and prevent this tragedy from happening to another family. I stay focused on what I can do rather than what I cannot. 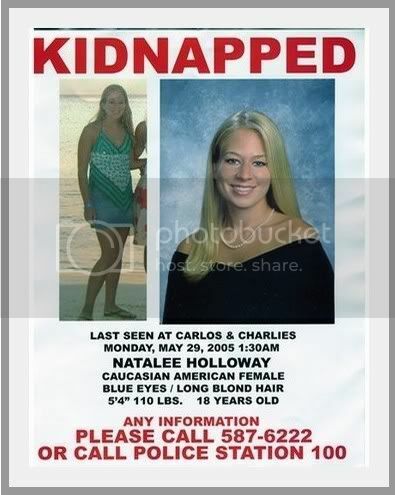 I cannot get justice for Natalee. Please delete #857. I messed up with the hilighting. Page created in 4.682 seconds with 19 queries.